Confirmed participants: Marisa Figueiredo, Adrielle Munger, Kathie Sarachild, and Jen Sunderland. Moderated by Stéphanie Jeanjean and Alexander Tochilovsky (curators of WE DISSENT…). Redstockings of the Women’s Liberation Movement is a radical feminist group that started in New York City, in January 1969 (some of its founding members originating from the New York Radical Women). Redstockings expanded the practice of consciousness raising meetings and speak outs, it also made available notable writings (by Kathie Sarachild and Carol Hanisch, among others) in books and journals such as, Feminist Revolution and Woman’s World, that they published. After a short split in 1970s, Redstockings reformed in 1973, since then it remains one of the oldest women’s organizations in New York, still in activity today. In 2019, Redstockings is celebrating its 50th anniversary. Confirmed participants: Lucia Davis, Bethany Johns, Marlene McCarty, Denise Petrizzo, Grai St Clair Rice, Pegi Vail. Moderated by Stéphanie Jeanjean and Alexander Tochilovsky (curators of WE DISSENT…). 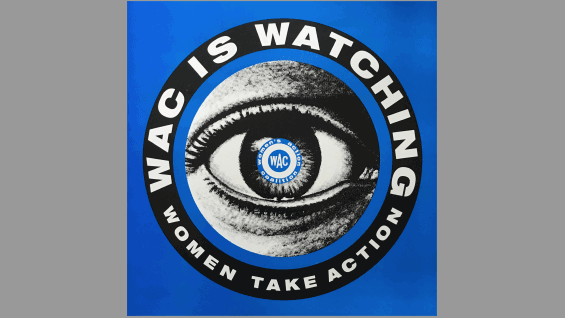 3:30–5 PM: Closing reception of the exhibition WE DISSENT… Design of the Women’s Movement. These special events have been organized in the framework of the exhibition WE DISSENT… Design of the Women’s Movement in New York, at 41 Cooper Gallery (opened until December 2, 2018), with the support of The Andy Warhol Foundation for the Visual Arts and The George Campbell Exhibition Fund.